Aigner No.1 Pour Homme is a hypnotic, addictive fragrance, mysterious attraction. 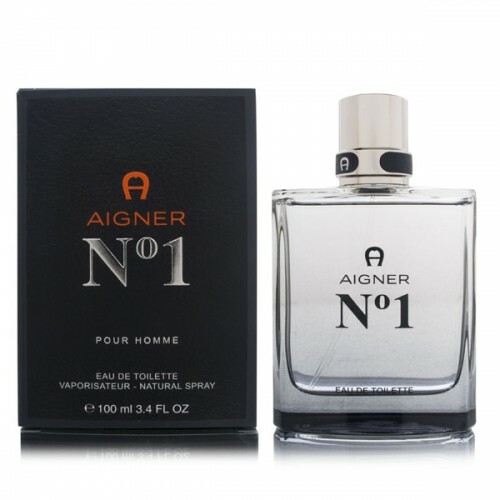 Aigner No.1 Pour Homme 100ml. Eau De Toilette is a fragrance for men, belongs to a group of oriental woody fragrance. Aigner No 1 released in 2012. In life often have different things to provoke our desire, of which the highest realm of attraction is the sense of smell. When a man and pass you by, the smell of his body to stay in the air, this fragrance not only to attract you, made ​​you want to delve into his scent away. Perfect interpretation of this magic, only Aigner No1 fragrance: a hypnotic, addictive fragrance, mysterious attraction above the desires above. Top notes are: cedar leaf, bergamot, pepper flavor: ginger, cinnamon, geranium notes: vetiver, sandalwood, musk. Usage: After a day or bathing, gently spray in the vicinity of the pulse of the wrist, neck, ears and other. The bergamot with artemisia and a slightly peppery note is pleasant and attractive. In the drydown a floral-gingery mix supervenes, which adds woodsy tones in the base.